We’ve got a spot, and a great guide for you! Our professional guides work together as a team, sharing information with each other daily, combining their talents, ideas and everyday experience. 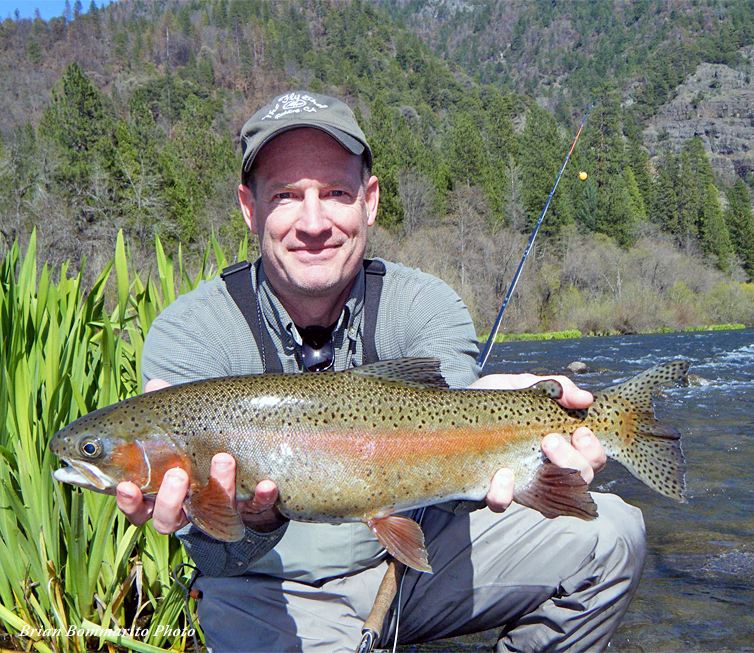 It’s why we are the most successful fly fishing guide service in Northern California. 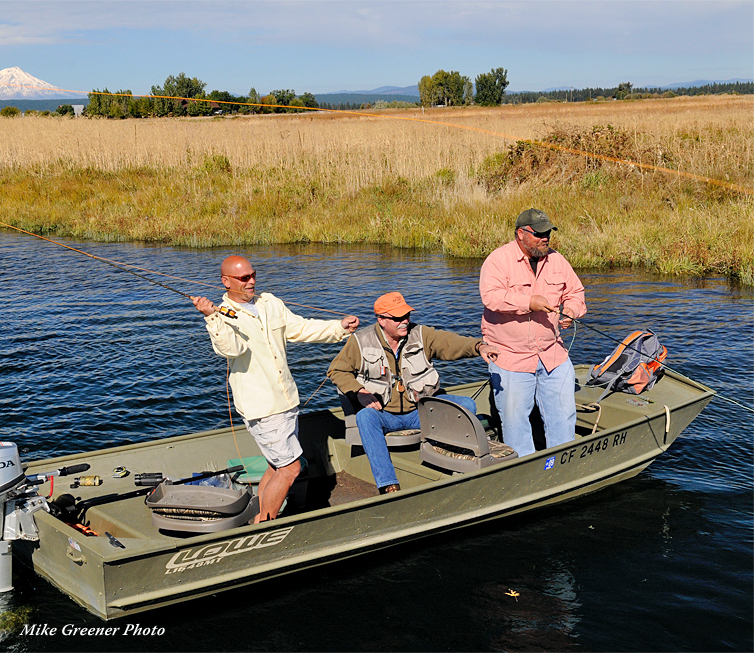 We’ve been guiding fly fishermen in the surrounding rivers and streams since 1978. 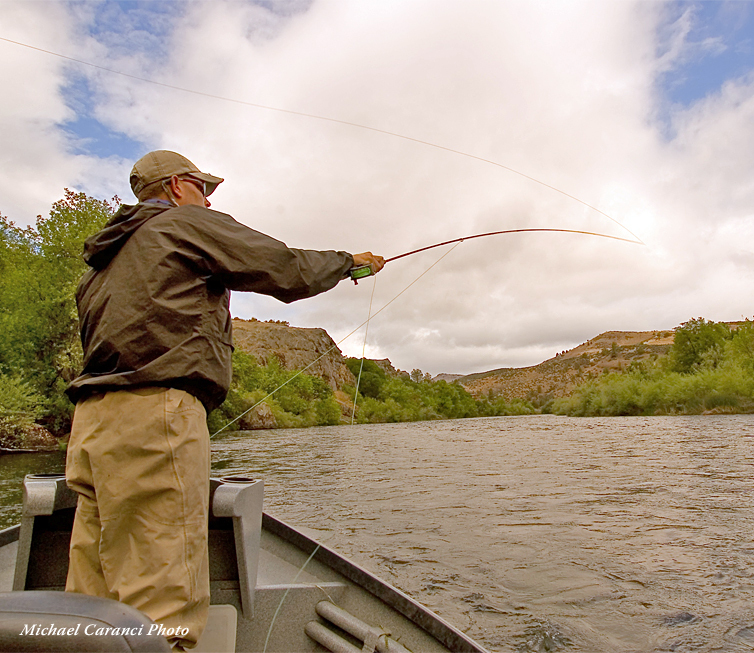 We know the ropes and we’re the only guide service holding permits for the Shasta, Trinity, Six Rivers, Klamath National Forest lands, and all the regional rivers, streams, and fisheries administered by the Bureau of Land Management. 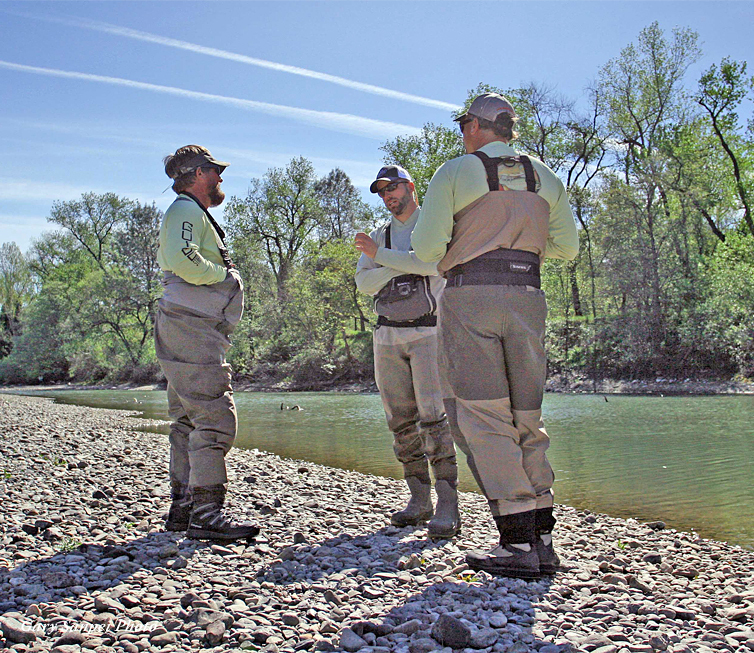 The Fly Shop® is proud to announce that we have now partnered with California Trout and The Conservation Angler (two of the American West’s most conscientious environmental stewards) to help support and fund their conservation efforts through our domestic and international travel destinations. 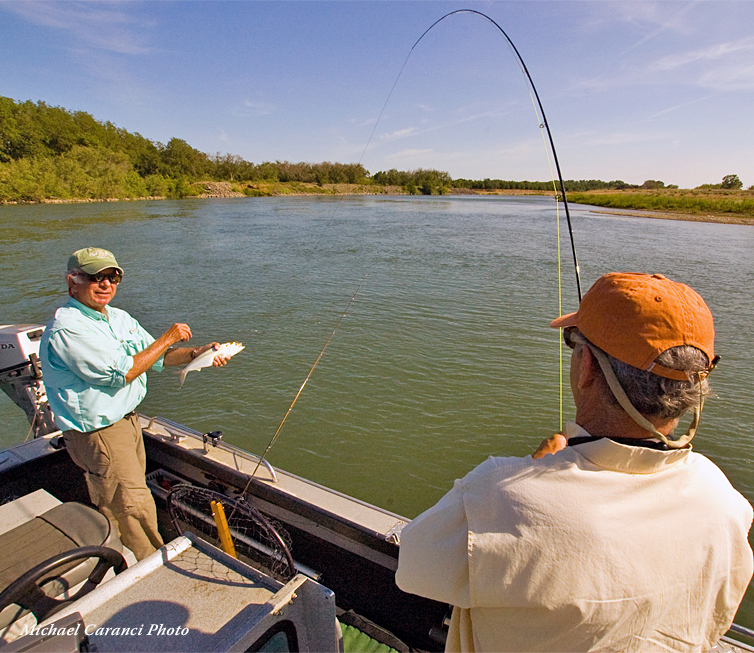 Every time a member of Cal Trout or The Conservation Angler makes a reservation with us to Alaska, Kamchatka, Argentina, Mexico, or any other of our local or worldwide fishing destination, we’ll be making a donation to their organization equal to 2% of the cost of the package. These two conscientious environmental stewards work to ensure wild fish and their environs are healthy, protected, and flourish. 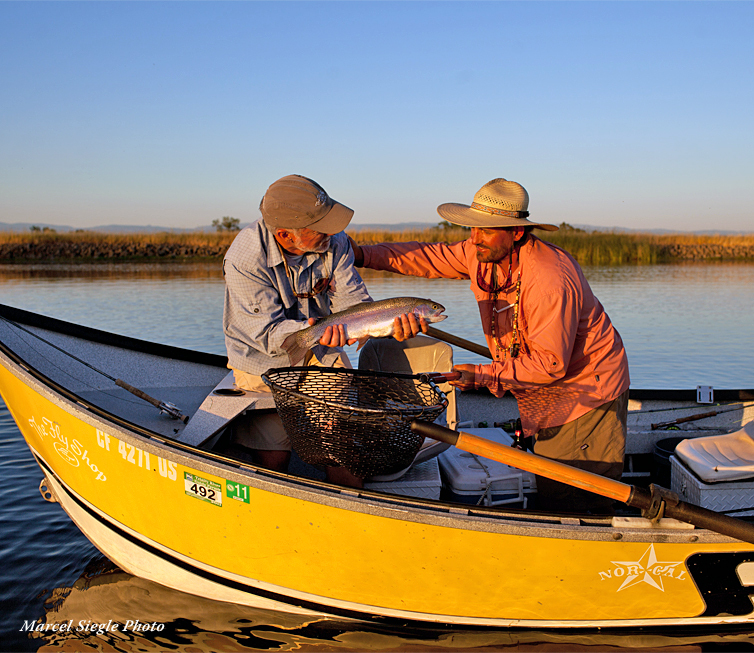 California Trout is a nonprofit organization ensuring resilient wild fish thrive in healthy waters for a better California. 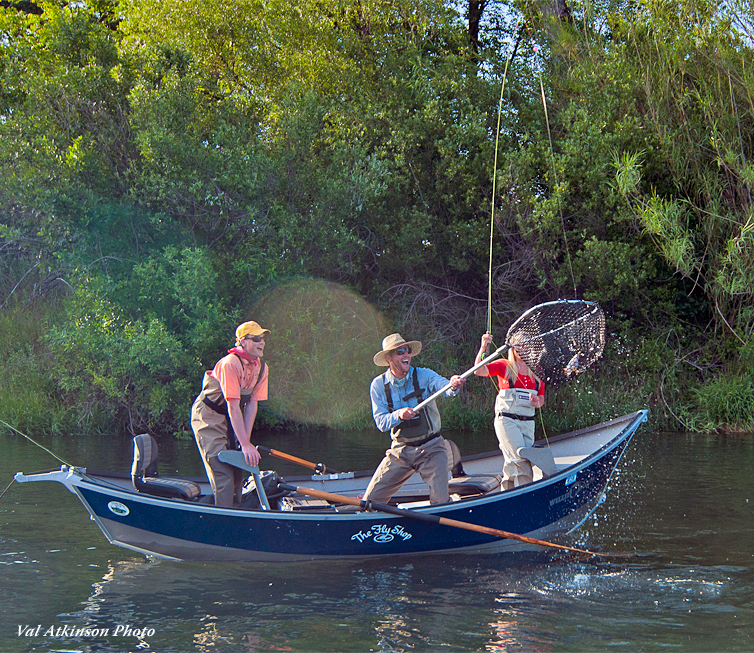 The Conservation Angler advocates for the protection, scientific study, and conservation of iconic wild anadromous fish populations and the rivers in which they thrive. This is one of the first of many similar announcements we present and we hope will become a revolutionary conservation alliance in our sport. 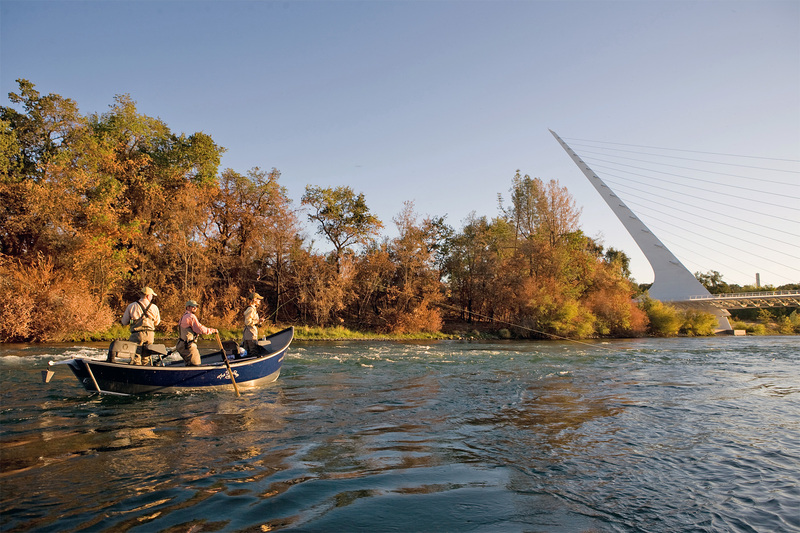 The Trinity River is the major tributary to the Klamath River, and stretches 110 river miles from Lewiston Dam downstream to its confluence with the Klamath at Weitchpec. 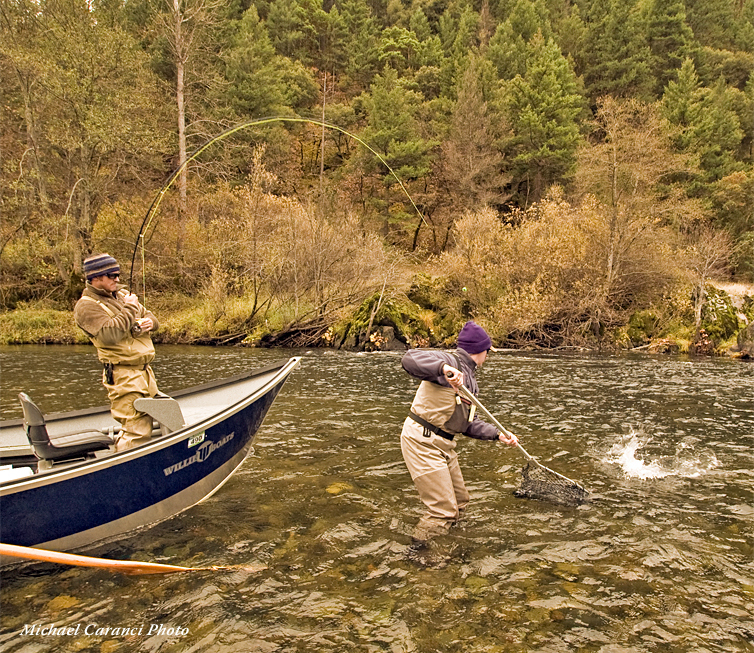 The Trinity River is arguably one of the finest steelhead streams in the West. 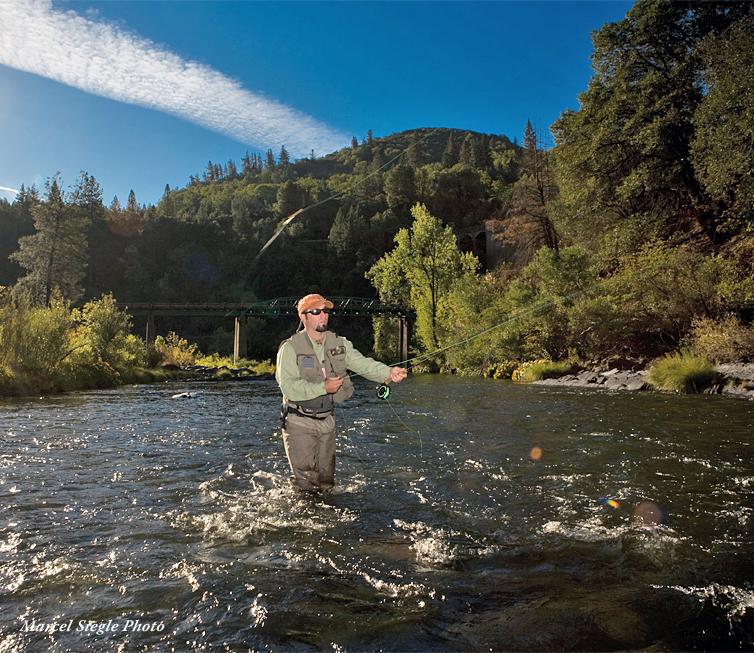 The McCloud River rainbows (salmo Shasta) may be the most famous strain of trout on the planet Earth. 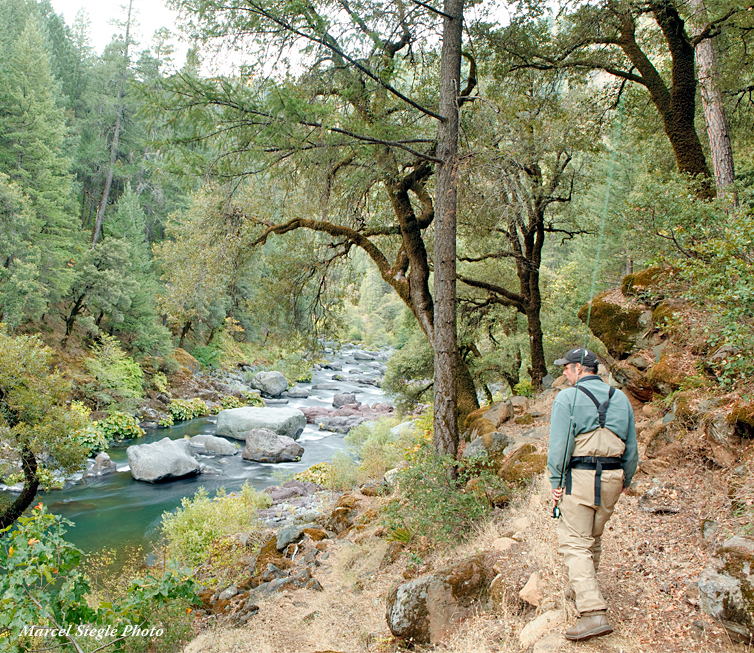 The McCloud itself is a river unlike any other, cascading through sections of boulder-strewn pocket riffles, and one emerald pool after another. The Fall River is the largest of California's spring creeks, fed by several icy aquifers coming from the snows and glaciers of Mount Shasta. Fall River itself is some fifteen miles long with an average depth of 7 feet of icy cold water, making it impossible to wade. 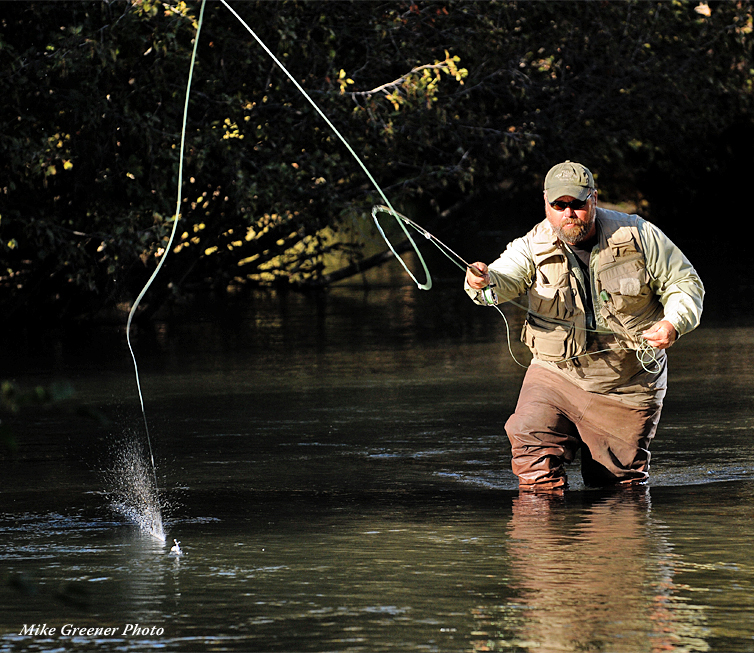 Our guide staff is comprised of patient, hard-working professionals who work exclusively for The Fly Shop®. We are proud that after 39 years of fishing and guiding the waters of Northern California, this is the most personable and talented team of guides!